The discussion on hawker centers have been hot on the public domain of late. There have been some useful criticisms and productive suggestions, but at the same time there have also been fake, unethically written and some even downright libellous articles posted. There were two articles by The Independent that claimed “eye witness” and “whistle blower” accounts, however we do need to know the reliability of these sources. Mainstream media has sent queries to FoodFare and Channel 8 published these replies. The following is an extraction from Channel 8 that would shed some light on TISG’s articles. a.) The first article reads “Elderly hawker allegedly passed away after working 18-hour days to avoid hefty fine when NTUC Foodfare rejected appeal to shorten operating hours”. The TISG article discussed how an elderly proprietor, operating out of Food Emporium at Terminal 4, passed on due to heart failure. Foodfare was reported to have clarified that no requests nor appeals to shorten operating hours have been made. Screenshots of the email correspondence was published to demonstrate this. In any event, the company rendered assistance to his family and subsequently waived the contract pre-termination penalty. The TISG article also said that Foodfare took as long as half a year to make refunds of the security deposit. Foodfare’s spokesperson told the media that the process to refund the security deposit, sales proceeds and return of equipment is in place. 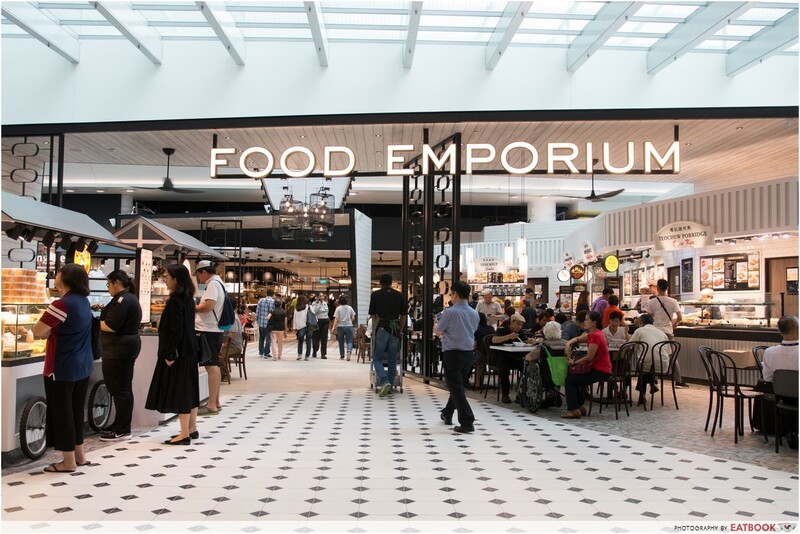 The TISG article refers to a stall licensee who operates a stall at the Food Emporium. According to Foodfare, the stall licensee of stall 4 has on 2 previous occasions, filed a notification for stall closure as her father who was the cook at her stall, was unable to operate the stall with her due to work injury. On 10 June 2018, the licensee wrote in to request to pre-terminate her lease. She subsequently requested to transfer the stall ownership to another licensee. Foodfare acceded to this request and helped her to facilitate the transfer. In the process of transfer, she closed the stall for 7 days – attributed to her father experiencing pain in his leg. She had told the outlet manager that she will open her stall after her father’s medical leave. However, she did not. And this invoked the pre-termination clause. When she did not reopen her stall, Foodfare appealed to her to please open her stall within 3 days and a waiver of the penalty charge of $3,500 (for the unauthorized closure) can be waived. However, she still did not operate her stall. Under such circumstances, the spokesperson said that Foodfare had no choice but to invoke contractual pre-termination terms such as forfeiture of security deposit among others. Out of goodwill, the pre-termination terms were not exercised and instead, she was allowed to offset her operating arrears against the balance security deposit. Foodfare is in the process of concluding her financial outstandings and her dispute of the $3,500 penalty.